A brand voice is how a brand speaks to its audiences. It connects a vision, mission and values to a personality; done well, it’s is relevant, timely and builds relationships that last. It’s the human face for a business or company. It’s an expression of the people behind the brand. It sets your company apart and builds trust. Here are 11 ways to find your brand voice. GET IN THE PRACTICE OF STORYTELLING: In marketing a product, you search for a “unique selling proposition.” For your brand voice, you tell your “unique story.” Every brand has one. They just have to find it. Tell it is small, manageable chapters to learn what resonates with your audience. Don’t be afraid to re-tell it.. If it means something to your audience, they’ll want to hear it again. LOOK FOR YOUR ARCHETYPE: To help tell your story, the term “archetypes”, as it is used in marketing, has its origins in Carl Gustav Jung’s theories. He believed that universal, mythic characters— archetypes—reside within the collective subconscious of people the world over. Archetypal images represent fundamental human desires and evoke deep emotions. There are 12 archetypes which symbolizes a basic human need, aspiration or motivation. For example, Disney is the Innocent; Jeep is the Explorer and Nike is the Hero. There is an archetype that is a fit with your brand to guide in telling your unique story. DEVELOP YOUR LANGUAGE: To address the needs of our audience, develop the language that stands for the problems your brand solves. Your expertise. What your business does, or makes or provides better than anyone else. It’s not only your differentiation but the keywords help be found on the internet. SHOW YOUR AUDIENCE YOU SHARE THEIR VALUES: How you relate to your audience is not just what you offer but the values you have in common. They are established through conversation, dialogue and action. They form bonds that can carry you through a crisis. DEFINE YOUR COMMUNICATION CHANNELS: 54% of people find a website through natural search; 32% through social networks and 28% from links from other websites according to Forrester. While it’s important to broadcast, it is more more to know the different benefits of each channel. For example, Twitter may be the best channel for spreading your content, Facebook for sharing, LinkedIn for comments and email marketing for speaking to key customers. This help to manage your time and expectations. PRACTICE THE 80/20 RULE: There is an 80/20 rule the Content Marketing Institute finds to me true about content for brands. 80% of content should be about your customers and trying to solve customer challenges. 20% can be sales-related and talk about products and services. This is a good guideline to observe. BE AUTHENTIC, CONSISTENT AND HUMAN: Regardless of what product or service you offer, customers are drawn to brands that deliver on honesty and authenticity. Whether it’s through tweets, blogposts, webinars, or any other type of communication, make sure you’re a true problem-solver. Since it plays a crucial role in ensuring brands come through on that act of integrity, brands need to engage in conversations to build long-term relationships. LISTEN TO YOUR AUDIENCE: If you ask someone what they need, they might not know. But if you listen carefully to what problems they are having, then you just might figure out what they’d really like to see from you. BE WILLING TO CHANGE: There’s something to be said for staying consistent, but, if you learn something new by listening, be willing to change. An enduring brand voice is one that stays relevant because is able to adapt to changing needs and tastes.. WALK YOUR TALK: Substantiate your voice with your actions. Respond to detractors when they come out. Get back to people in a timely manner. Offer proof points that you deliver on what you say. Do unto your audience as you would like them to do unto you. 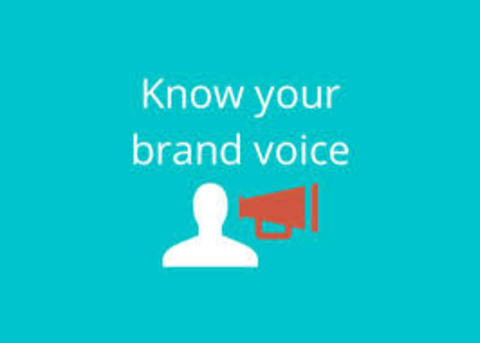 Does you brand have a voice? What is it that sets it apart? How does your business tell its unique story? The facts show content has a major influence on buying behavior. 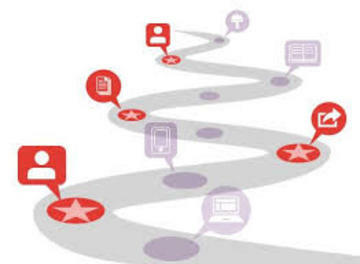 And, when done effectively, content marketing improves the journey. How? Here are 7 ways content marketing improves the buyer journey. DISCOVERY: Potential buyers are likely to learn about your business from relevant content. KEYWORDS ARE THE CURRENCY OF THE INTERNET: 54% of people find websites through natural search results according to Forrester. This means, when people type in their unmet need in the query box of a search engine, relevant content is likely to begin the brand relationship. A good tool to use to find the right keywords with the most search volume for your business is the Google Keyword Planner. BUYER NEEDS CHANGE; CONTENT MARKETING QUICKLY ADAPTS: Buyers’ needs change but content marketing can maintain relevance. To illustrate, here’s how consumer needs in pajamas have changed using Google Trends. But content marketing could easily be adapted to changing needs, tastes and seasonality. CONSIDERATION: There are different Buyer Personas and stages to the Buying Cycle. Content Marketing builds 1-to-1 reach relationships with all of them to facilitate their journey. BUYERS GO THROUGH FIXED STAGES IN BRAND CONSIDERATION: There are three stages to our buying behavior on the internet based on three personalities: Researchers, Shoppers and Buyers. Researchers expect the business to educate them. Shoppers expect comparisons to other products. When ready to buy, Buyers want an experience that is clear, easy and fast. Content marketing is one of the most practical and thorough ways of appealing to all of them. LINKS CREATE AUTHORITY, INFLUENCE AND ADVOCACY: One of the most effective ways to be recognized as an expert in your area. It might seem like a paradox but if you extol competitors you admire, you elevate your brand to that competitive set. One of the easiest and most effective ways to do this is to link with other authorities. Content marketing is an effective ways of incorporating links. They raise authority and search rank. SELECTION: Content marketing is one of the most measurable means to find the audience you want to attract, find more just them, get them to take the actions you what and prove effectiveness. So, you can repeat this process over and over again. ANALYTICS GIVE AN ACTIONABLE SCORECARD: Every piece of content can be measured to see who visited, spent time, opened, shared, commented and their behavior flow. Whether through Google Analytics on a websites, short links like Bit.ly on social media or a download, everything can be measured. It shows what worked, what to keep doing and what to improve. RELEVANT CONTENT CREATES COMPETITIVE DIFFERENTIATION: After the product, relevant content is a brand’s most relevant asset. All things being equal, a brand that produces relevant content, vs. a similar brand that doesn’t, has significant competitive differentiation. For more facts on content marketing and buying behavior, check out the infographic below. Did this convince you content marketing improves the buyer journey? Are you ready to do something about it? Millennials describes the segment of the population born between 1980 and 2000 (approximately). 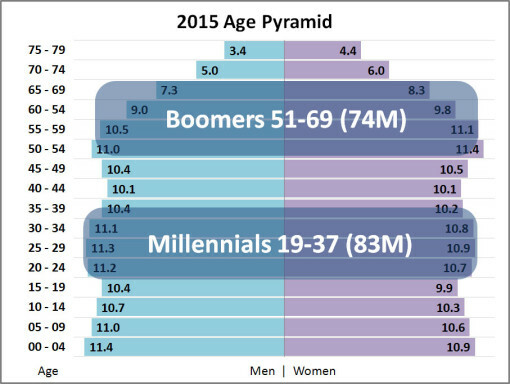 Sometimes referred to in the media as “Generation Y,” Millennials are the children of the post-WWII baby boomer generation. They are the 1st generation to come out of the new milllennian and the largest generation ever at 83 million; the 1st generation to be raised with technology and are on track to be the most educated. The numbers make them an obvious target for marketers – from new technology offerings looking for early adopters to brands used by an older population trying to revive growth as their audience sunsets. Maybe too obvious. To connect with any audience, marketers not only have to know them but prove their brands share their values. With any audience, there is the good, bad and ugly to consider. How does your brand connect with Millennials? Here 46 facts to know about Millennials before marketing to them. 73% say consumers care more about their opinions than companies do – and that’s why they continue to share their opinions online (source: Bazaarvoice). 69% believe office attendance is unnecessary on a regular basis. (source: Cisco). If these facts peak your interest and you want know more about Millennials, below is an infographic from Badgeville. Is your brand ready to connect with Millennials? Do these facts help you with marketing to them? 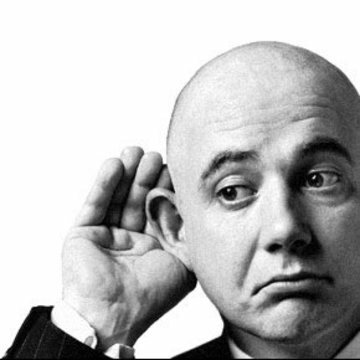 Is there a similarity between companies that listen and achieve success? Decide for yourself. Here are 18 reasons to listen before you leap into social media. ADVOCATES: One of the most valuable segments to any business or brand is the people who support your cause and recommend you to others. Tools like Technorati (for blogs), Topsy (for Twitter) and Booshaka (for Facebook) can help you find them on social networks. AFFORDABLE RESEARCH: Online audience profiling and listening is probably the most affordable research a company can do. Although it’s worth doing it with someone who knows what to look for and can set up reporting, the data is readily available and most of the listening tools are low cost or free. COMPETITIVE INTELLIGENCE: If you are watching your industry, you can be the first to spot a competitive opportunity or learn from your competitors. You may also discover industry advocates. COMPLAINTS: A posted complaint may also draw out other comments from people with the same concern, which provides an opportunity to reach out to them. COMPLEMENTS: A customer raving on a social network or review site about the experience they just had with a product or with customer service is the online equivalent of offline testimonials. Create a delicio.us account or use another social bookmarking utility and save all of these compliments in a list for future use. CONTENT CREATION: The best way to guide your content marketing is to listen to what consumers are saying and give them information or teach them what they want to hear and learn. CRISIS MANAGEMENT: Social media lets you know about a bad decision and often how to correct it. For example, to keep up with demand, Maker’s Mark reduced the alcohol content so they could mass-produce their product faster. Customers took to Twitter to announce their displeasure. So Maker’s Mark listened. IMPACT: Social media marketers who listen and do analysis are more informed as to when their efforts have the greatest impact. INFLUENCERS: Different from advocates, influencers gain their power either from the number of times they post on a topic, and the number of people who link to their posts on a topic. Knowing who these influencers are and their opinions of your brands helps you determine who to engage. INTEGRATION: In the Marquette Group and Ascend2 study, “very successful” companies with social media were 6X more likely than “not successful” companies to integrate social listening with other types of marketing. KEY PERFORMANCE INDICATORS: An actionable scorecard to keep you business strategy on track defines the role of Key Performance Indicators (KPI’). Why did you get into social media? Increase awareness? Improve engagement? 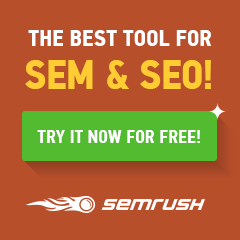 Generate more leads? Do better customer service? Pick the social metrics that align with your goals and take actions based are what the KPI’s are telling you. KEYWORDS: The same words and terms used in your overall marketing are very easy to find using HootSuite. In fact, you can share, comment or connect with the person expressing them. Or, you can use to validate whether the keywords you have chosen are the right ones or need to change. REPUTATION MANAGEMENT: The best way to manage our reputation is to listen to what others are saying. Think about including sites like Yelp and Reputation.com in your listening consideration set. A study from UC Berkley showed that an extra half star on Yelp increased the sell out rate for restaurants from 30% to 47%. SEGMENTATION: For any business, there is a wide disparity between best and worst customers. Audience profiling and social media listening helps you set up a more effective segmentation scheme. TARGETING: Your segmentation gives you a better means for targeting. Through social media metrics, you can do this by buyer personas, geography, devices or messaging. TRENDS: Product gain or lose popularity or command greater interest during certain times of the years, days of the week or hours in the day. Make the most of your effort by being there when your audience is most active. Here’s an illustration. Look at the graph below from Google Trends to see how interest in pajamas has changed over the years but always peak every December. If you were in this market, wouldn’t it effect your plans and participation. TRUST: When you know what your audience is saying, brands can instill trust among customers (social media followers), by engaging in constructive discussions and implementing consumer suggestions into your business policy. VIRTUALLY REAL-TIME: The data that you’re getting back is very actionable because so much of it is occurring in real-time. BarnRasisers has helped companies in a wide variety of categories listen and achieve better results through social media listening and action. Talk to us or consider the course Mike Moran and Rob Petersen teach at UCI Extension on Social Media and Internet Audience Profiling. How do you rate your companies success with social media? Do you listen before you leap. Are you ready to start? Buyer Personas are examples of the real buyers who influence or make decisions about the products, services or solutions you market. They are a tool that builds confidence in strategies to persuade buyers to choose you rather than a competitor or the status quo. Buyer Personas are extremely useful for developing and evaluating messaging, content and offers that differentiate your brand from competitors. They are a foundation for any business that relies on customer acquisition, conversion and retention which, of course, is every business. The best personas are created from real surveys and interviews – not from ballpark guesses, conjecture or assumptions. To get you started on creating Buyer Personas for your brand, HubSpot offers a free template: Marketer’s Guide to Creating Buyer Personas. To convince you it’s worthwhile, here are 31 business building benefits of Buyer Personas. Enables content to be created to meet the targeted needs of each profile and speaks directly to the needs of each persona. In my experience, 3 to 4 Buyer Personas usually account for 90%+ of a company’s sales. This is the case with two of our clients, Global Partners and Virtual Incentives. Do you know the Buyer Personas for your brand? Do you think it’s worth knowing them? Are you ready to develop them to build your business?